Radios shouldn't be clunky - they should be awesome. At a time when audio equipment is geared towards the future, you might think that the humble tabletop radio is extinct. Not even close. It's just evolved, and gotten a lot smarter over time. 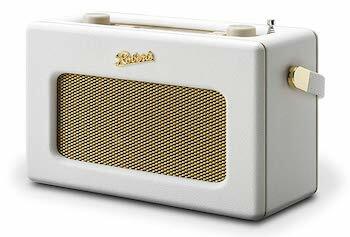 Radios now bear little resemblance to the dinky little clock radios from the past twenty years. As a bonus, they're not all that expensive - not compared to other examples of audio equipment, which can cost thousands of dollars. Even the most expensive tabletop radio will cost you well under a grand. For more background information on tabletop radios, see our comparison table and buying advice below the picks. What We Like: Everything you could possibly want in a radio - it even has wireless charging for your phone. What We Don't: Doesn't fix issues from its predecessor. There's no question in our minds that the Grace Digital Mondo+ Classic is the best tabletop radio currently available. It offers everything you could possibly want in a radio – whether you listen to an Internet station, or an AM or FM broadcast, you'll be up and running in seconds. The Mondo+ Classic delivers excellent sound quality, too, thanks to a well-made 25-watt amplifier. It's not the loudest radio around, but for sheer quality and versatility, nothing can beat it. It even includes a Qi wireless charging pad, meaning you can drop your phone on top to charge. That's something not even more expensive radios, like the Bose Wave Soundtouch Music System IV, can boast. We love the design, too. The old Mondo+ was an industrial hunk of plastic, but this has real warmth and flair, with a wonderful wood finish. It both looks and sounds fantastic. We do wish that Grace Digital had fixed the controls – there are still far too many of them, they are still a little confusing to use, and they still feel wonky when pushed. 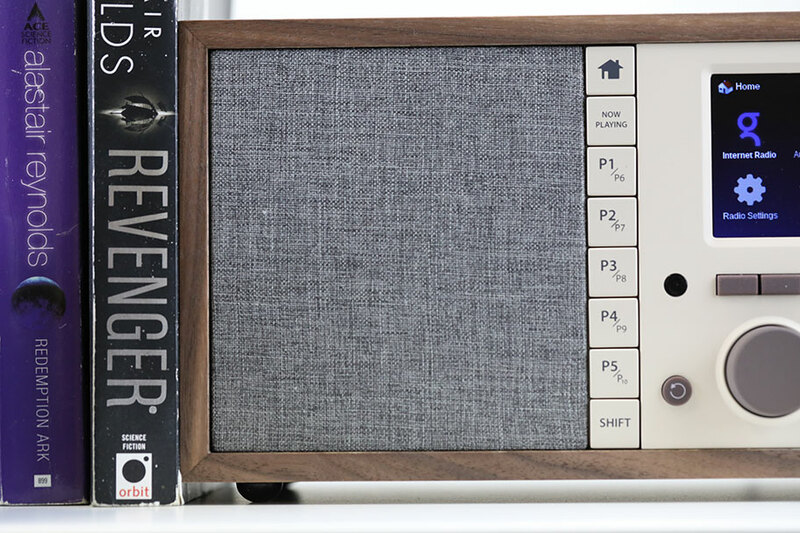 Regardless, the Mondo+ Classic gets almost everything right, and for this price, we don't think you'll find a better tabletop radio. What We Like: Superb specs with all the bells and whistles. What We Don't: Upgrade probably a little expensive from the original Wave IV. At the very top of our selection is the Wave Soundtouch Music System IV - the upgraded version of the original Wave IV which, while a little pricey, is a lighter version of the original. Everything is supercharged here, but it’s the sound you’ll notice first. Frankly, it’s a little disconcerting that something this size can make a sound that should come from something ten times larger. Bose doesn’t supply speaker data, so we don’t have wattage figures for you, but this can hit some substantial volumes. It’s a bigger, badder and in many ways more complicated than something like the Cue Radio Model R1, but it also offers superb value for what you pay for it. You can send audio from any signal source into this radio: AM, FM, streaming (with services from Spotify to Deezer), MP3 player and even a CD player, if you still have some lying around. The Waveguide technology is present and correct here, with twin 3” and 4” drivers partnering up to provide that absolutely epic sound. The Soundtouch app provides excellent control, too. This is still one of the most superb systems money can buy - perfect for audiophiles, or those who simply want superb sound. 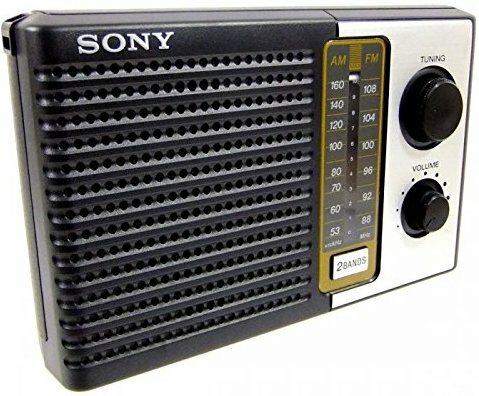 It’s probably not ideal for anyone who wants just a simple AM/FM radio - for one of those, look further down the list - but we still consider it the business. Be aware: Amazon lists a newer model of this product, the Home Speaker 500...but that's a straight smart speaker, and doesn't actually have a radio. What We Like: Good all rounder with auto search, Bluetooth and SD card playback. What We Don't: FM only, feels slightly flimsy. The Avantree SP850 is a super popular little desktop radio, perfectly suited for the kitchen. It features a rechargeable battery and, being roughly the size of an iPhone7, it can be taken virtually anywhere. Aimed at the casual FM radio listener, there aren't any digital or even AM options here. Instead, Avantree have focused their efforts on user-friendly features such as auto scan and one of the easiest ways of manual search. The ten large buttons with numbered slots (0-9) not only make saving a favorite station a breeze - just hold to save - but also act as a smart dial. Just punch in 1022 to tune into 102.2, for instance. The SP850 is advertised as a 3-in-1 Radio Speaker on account of its auxiliary (mini-jack) input, TF card reader slot and Bluetooth. These are very popular options for streaming music from an external source and using Avantree as a speaker. TF cards are becoming slightly obsolete, but you could save a large audiobook file one one, for instance. Bluetooth streaming gives this radio the edge over the majority of similarly-specced units, though you will notice a slight latency (loss of lip sync) if watching movies. Finally, selectability, channel hold and audio quality are good for the money - you won't even need an antenna, as the USB charge cable acts as one. What We Like: Stunning audio quality. What We Don't: Inclusion of a CD drive is optimistic at best. Here's something we didn't expect: a CD player in our top five. The REVO SuperCD may be a tabletop radio at heart, but it has a vertically-loading CD player included, too. We think that's overly optimistic - even the most old-school of us are turning away from CDs in favor of vinyl or streaming - but REVO clearly know something we don't! The SuperCD is a magnificent update on the old SuperSystem. 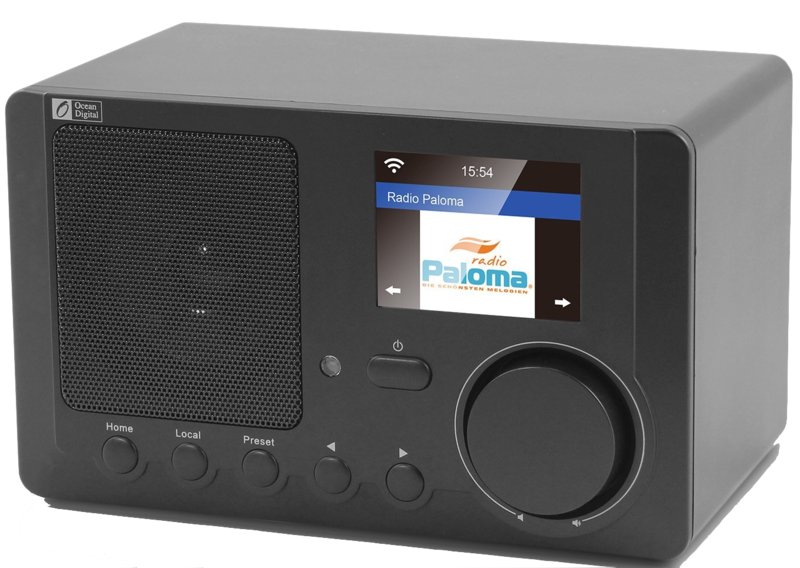 For the same price point ($800) you get every feature you could possibly need, from a simple FM radio to digital streaming over a Wi-Fi network, including via Spotify Connect. There's also a well designed app, meaning this is very much a forward-thinking radio. But you don't come to high-end radios just for the features; you come for the sound, and the SuperCD more than delivers. 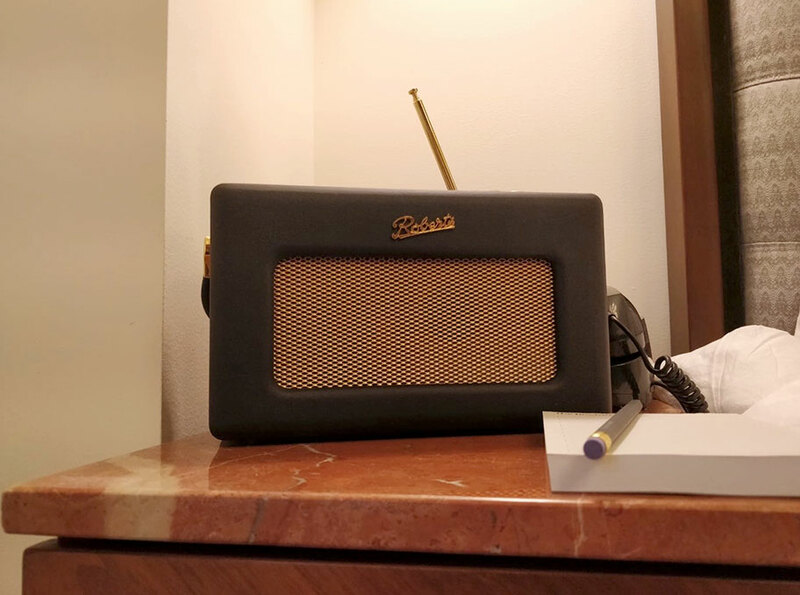 Its effortless detail and crystal clear audio quality easily make it the best-sounding radio on this list, handily beating models from the likes of Bose and Como Audio. Those models still offer better value, but if you demand the best from your radio, this is the one you should buy. What We Like: Incredible outdoor tool with its solar charge, power bank and lots more. What We Don't: Audio quality is average. 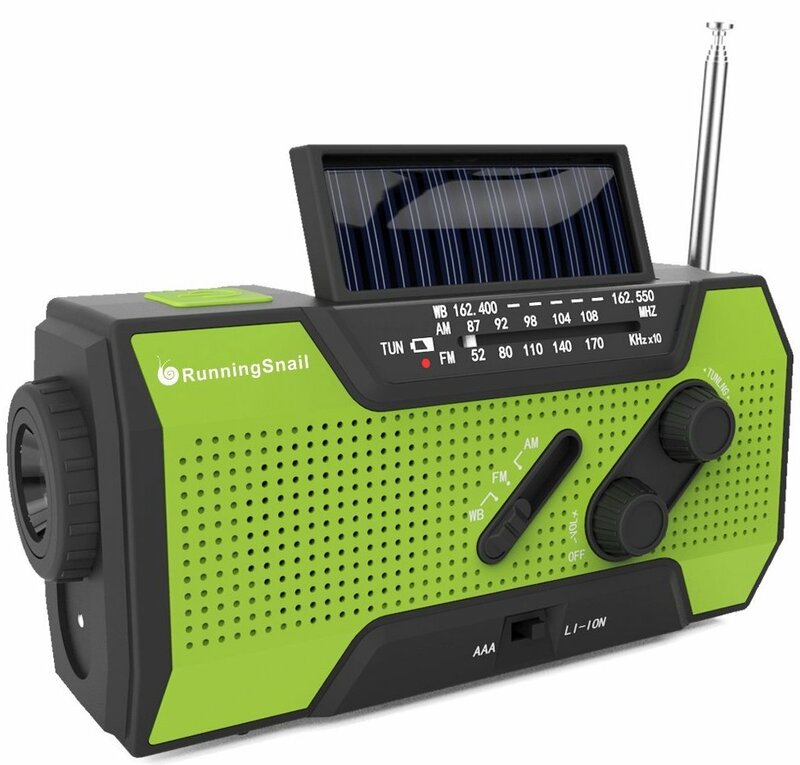 This might seem like an odd choice for one of our top five radios, but if you ever happen to find yourself in one of those zombie flicks, in a city undergoing a power cut...this little radio will still be able to pick up the emergency broadcasts. In more realistic terms, if you just happen to be at the beach, sailing boat, local park or your front porch, this fine NOAA (National Oceanic & Atmospheric Administration) device will keep chirping away all day long - on account of its solar power self-charging. Its ability to be also charged by hand winding (as well as AAA batteries) is useful, too. A minute of hand-cranking gives you 15 minutes of broadcast. What's more, this little radio also acts as a power bank (2000mAh) with an included 4-in-1 USB cable with lightning port, 2 micro-USB and 30 pin connections. That alone makes it a must-have for music festival lovers. Aside from the survivalist kudos, the NOAA radio sports a jolly 80s vibe. You'll be limited to AM/FM bands only, and of course frequency tuning is manual - the old fashioned way. Audio quality is decent enough - no thundering bass or audiophile clarity, but the Running Snail still manages to get a loud enough background playback and there are no major sonic issues. If you live in Florida or anywhere near hurricane weather this is the perfect companion - its third WB (VHF weather band 162.400-162.550) picks up the governmental emergency bulletins. What We Like: One of the most advanced radios around. What We Don't: Doesn't sound as good as the Bose or Tivoli models. Como Audio is a relatively new manufacturer, but they know what they're doing. Although this model has a bigger brother, the Duetto (and a smaller one, the Ambiente) this is our pick. It strikes the perfect balance of price and features, offering excellent value for money as well as a huge range of capabilities - not to mention fantastic design and useability. It's probably better for digital audio than FM, although it does offer that. And while we think it doesn't sound as good as other models - the Bose model comes out on top for that particular aspect - it's still a great start for Como Audio. The sound quality may keep it off the top spots, but there’s no question that it’s one of the better looking models in this list, with a gorgeous finish and build that matches analogue design with modern sensibilities. It also comes with a good range of features, including some nice, clicky preset buttons, and a USB input for when you want to playback music from a flash drive. There’s some smart technology at hand as well – we particularly like the internal power supply, which switches depending on the voltage it detects. Bottom line: we expect big things from Como in the future. 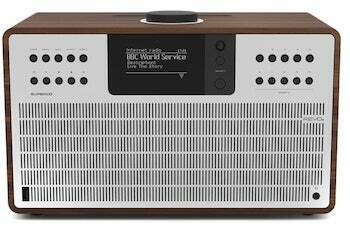 What We Like: Design, sonics, a wealth of digital radio options, Bluetooth aptX and Wi-Fi. What We Don't: AM band would have been really welcome, and it's not cheap. The REVO SuperConnect deserves its name, as it focuses on packing pretty much every modern connectivity protocol in a traditional-looking tabletop radio. If it weren't for the very cool-looking black OLED screen, you would be forgiven for thinking that this is a simple 'classic' radio. Far from it - the SuperConnect features a wealth of digital radio standards including DAB, DAB+and internet radio, as well as FM with RDS of course. Its ability to be integrated within your home ADSL network opens up the near-limitless realms of streaming over Wi-Fi. Spotify comes as standard and any Bluetooth device can communicate with the REVO. The preset memory slots and remote function are handy, but the REVO app makes any handheld device the perfect partner to this little radio. Browsing and saving favorites, creating playlists, and so on is so much quicker on a smartphone or a tablet than using the radio's controls. Is the SuperConnect any better than the tens of hundreds of digital radios out there? Short answer is yes, mainly on account of its great ability to pick and hold steady wireless streams. Audio quality is better than most similarly sized units, comparable to the Grace Mondo+ Classic, above. Just like with the REVO SuperCD above, we do think that the unit is slightly overpriced, but that aside the SuperConnect is definitely one of the best in its class. What We Like: A terrific update on a classic. What We Don't: Fabric-based design may not appeal. Different pieces of art aren’t going to appeal to everyone. Everybody has their own taste. With that in mind, if you can handle the fabric covered speaker driver, you are absolutely going to love the new Model One Digital from Tivoli Audio. We do. 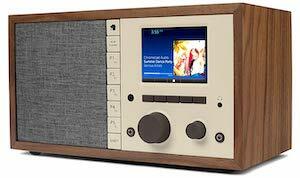 We adore its wooden housing, it is clear, simple display, and its range of functionality, which runs from FM streaming all the way to Spotify. The wide dial around the digital display allows you to change the station. There is no remote, but you can control it using the companion app. The sound is nothing to write home about, hence its low-ish position on the list (the REVO, for one, has it beat) but what you can do is pair it with one or more of the company’s stand-alone speakers. You can choose from either the circular Art speaker or the cuboidal (obviously) CUBE. You get fair warning: expanding the system this way is expensive, and it may be worth your while to look at a separate wireless system, or at least a cheaper one. For the rest of us, this is an excellent tabletop radio. And if you do want the original, and can deal without the extra features, then check out the original and brilliant Model One. What We Like: Seriously cool retro looks matched with excellent sound. What We Don't: Hard to track down. Roberts makes some of the coolest radios we've ever seen, and our current favorite is the Revival iStream 3. It's not the newest model they offer – technically the Stream 94i is newer. But that model costs the same as this one, and there's no question as to which one we prefer. Like the REVO SuperCD, the Roberts Revival iStream 3 crosses the line between smart wireless speaker and traditional radio, with Amazon Alexa included. You get an FM radio, as well as full digital functionality. But we'll be honest, the appeal here lies in the pleasingly retro looks matched with powerful sound quality. We don't have a listing for watts per channel, but we were satisfied with how loud this radio played. The downside? Although it is available in the United States, to the best of our knowledge, it can sometimes be a struggle to track down. That's deeply annoying – would it really be so difficult for Roberts to list this radio on Amazon? Especially given the Alexa inclusion. All the same, if you can find one (check your local hi-fi store) it's well worth your time. What We Like: Much better than the old WR-11, good stereo functionality. What We Don’t: Doesn’t quite do enough to separate itself from the crowd. We’ve got a lot of love for stereo tabletop radios, with one master speaker and one slave speaker. They offer a convenient and fun way to get stereo sound, and Sangean’s WR-50P offers an excellent way to do this. It’s not the most exciting radio on the list, by a long shot – you get AM/FM, and Bluetooth, and that’s about your lot – but it’s definitely a better buy than something like the SPARC SHD-BT1, which is definitely a downgrade in terms of features and audio quality. We love the usability and functionality here, as well as the crisp sound, thanks to well-made digital signal processing circuitry. You get a decent remote, a good range of features, and generally, nothing you wouldn’t expect to see in this particular price range – although, for the record, we think this is a touch overpriced right now. Having said that, you can always opt for the mono option, which sacrifices the slave speaker (God, that sounds ominous) and offers just the one speaker at a cheaper price. It’s good to know there are options. What We Like: Long distance AM signal holds champion, good sound. What We Don't: Features focussed for AM band listeners. Tthe C.Crane CC 2E offers a staggering performance for the price. Staggering not in terms of audio quality, but in selectivity (often called sensitivity) and sync hold - the ability to hold steady onto a frequency band. The fact that it can ‘hear far’ also makes it invaluable if you enjoy regional broadcasts. 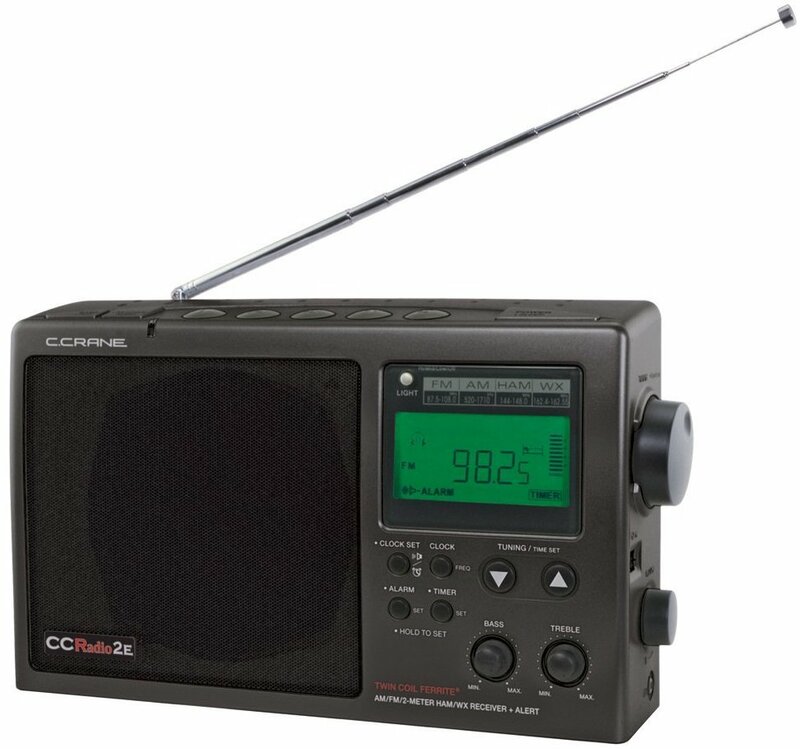 In our buying advice section, we talk about synchronous radio circuits which employ a dual antenna - the CC 2E is equipped with this and it’s the reason for its incredible ability to lock onto signals, especially when operating in AM band. With its primary purpose being a long-range AM radio, it’s got to be said that C.Crane’s FM performance is impressive in terms of level, voice intelligibility, and top end detail. Both music content and speech broadcasts sound clear when compared to lesser radio units, and the bass/treble controls can make a tremendous difference to a dull signal. In terms of specs, you get a lot for your money: plenty of buttons to save your favorite stations and of course, headphone and line outputs. If you live near areas with difficult weather conditions, the C.C Crane CC 2E might be the radio for you. What We Like: Looks good, sounds good, versatile, comes with remote. What We Don't: Limited bass response, no AM band. 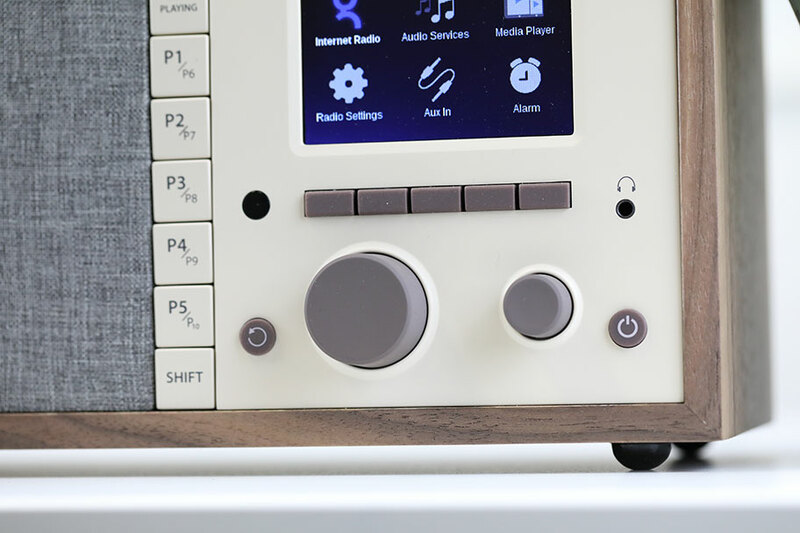 The Ocean Digital Wi-Fi Internet Radio is a rather self-explanatory title - and we tend to prefer names that avoid sounding like R2D2’s latest sidekick. Ocean (for short) is a fantastically well spec’d tabletop radio, with built-in FM and Wi-Fi receiver. That’s pretty much all you need and more, connecting to over 26,000 radio stations. With eleven languages available for the unit’s menu, it’s easy to imagine what anyone travelling to the other side of the world may end up doing with this little device - tune in on their hometown broadcast. As long as there’s wireless internet you can bask in the sounds of another place or even time. The 2.4'' Color TFT Display is great for broadcast info and is dimmable - a function which can even be time programmed. Audio quality is crisp and aided by a digital EQ, with several genre-related presets. The 5-watt output is plenty for any room, if you don’t expect a lot of bass - it is, after all, a tabletop radio and not a hi-fi system. The aux-in and headphone outputs are thankfully present and all menu functions can be accessed by a combination of the few buttons on the front. The large volume knob on the front also doubles as a parameter selection wheel. Needless to say, there are a ton of digital options here - the Ocean blurs the line between radio and smart handheld devices. Anyone familiar with those will feel right at home when diving in the menu options. What We Like: Design, sound, Spotify Connect. The Auna KR 200 is how we like things - smart, modern, and good looking. 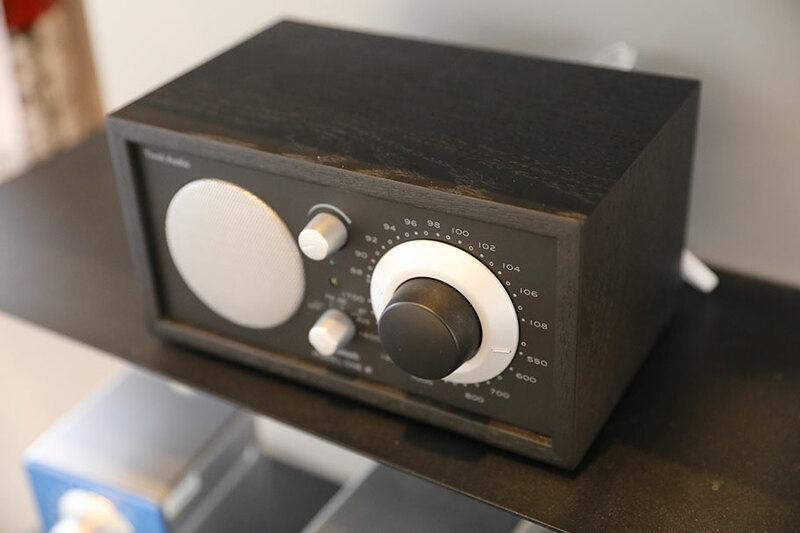 Firstly, its design allows for direct mounting under a surface - shelves, kitchen cupboards and come to mind, but it can also be used as a traditional tabletop radio. In both cases, the TFT color screen and controls are clearly visible. The Auna KR 200 comes with its own Wi-Fi interface, so you need little more than tapping into your broadband to get the included Spotify Connect going. While this works flawlessly, tapping into other internet radio options can prove convoluted due to the slightly archaic Frontier-Silicon portal. The Auna delivers clear DAB/DAB+ and FM playback supporting RDS, displaying artist, track title and genre info - super handy for discovering new artists. Playback is not limited to lossy formats only, and audio quality is delivered by two surprisingly detailed speakers. Even if it's a little light in the bass department the Auna can feed your 'proper' system via the included line out. The buttons feel a little flimsy, and the lack of Bluetooth is a real pity, but if your desktop radio budget is under $100, this is well worth a look. What We Like: Tremendously cute design with equally warm sound. What We Don't: Slightly gimmicky. We finally got to hear a Muzen OTR. The OTR stands for On The Road, and is meant to harken back to classic Americana – hence the old-timey, vintage looks. Honestly? 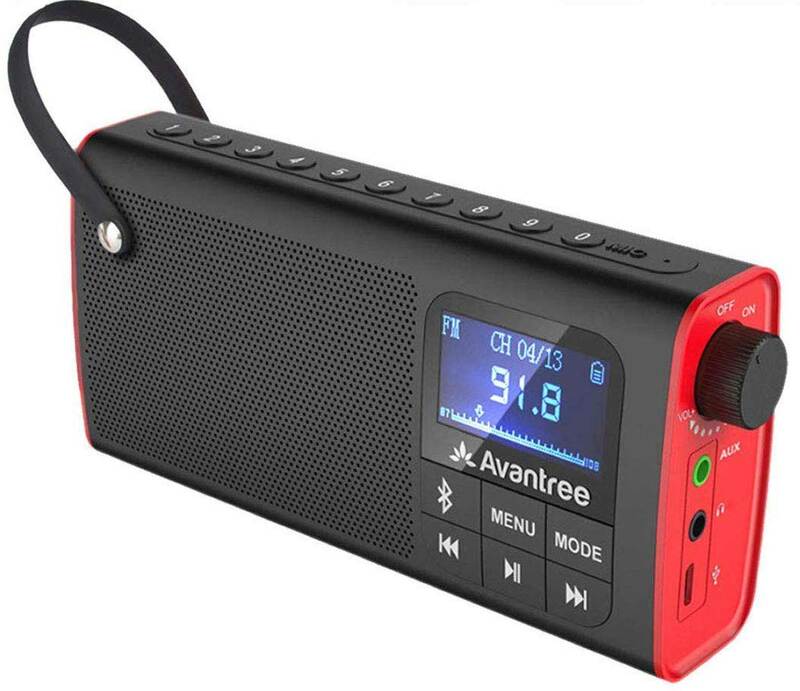 In terms of features and sound quality, this little battery-powered Bluetooth/FM radio is never going to compete with the big dogs on this list – even similarly priced models like the Auna KR 200. It doesn't have the power or the feature set. What it does have is charm, and buckets of it. This tiny radio – seriously, it will fit in your hand – has a ten hour battery, and is perfect for long road trips (doubtless one of the things it was intended for). And while it does come across as a little gimmicky, it's still a perfectly functional radio with quality sound. If you do like taking your listening on the road, or you have a small office setup, then this could be the ideal radio for you. It doesn't have the feature set of other portable radios, like the superb (and less expensive) Running Snail NOAA, but it definitely deserves a spot on this list. What We Like: Bluetooth, great design, good sound. What We Don't: A little underpowered. SPARC make some surprisingly good products, and the SHD-BT1 is currently at the top of their range. Its small stature and friendly design make it an ideal bedroom model, and the control scheme is easy to get to grips with. Plus, it does have at least one very nifty trick: if HD is available when you're looking for an FM station, it'll automatically tune to that channel. Sweet! It's a tad underpowered, but perfect if you're not pumping the volume too high. SPARC don’t give out information on their audio specs, sadly, but any attempt to turn this thing to high volume will not give you pleasing results. Trust us, we’ve tried - and it’s something the Crosley Solo and the Sangeans had much less trouble with, so avoid if you want to go loud. On the other hand, it’s perfectly acceptable at medium volumes, if not exactly audiophile-grade, and we think its feature set and that HD trick make it worth an investment. The $75-$100 range is crowded here, and this isn’t the best of the bunch, but does make for a good alternative. What We Like: Great looks. What We Don't: Basic functionality, middling sound. We originally had the fantastically 1970s Ranchero on this list, but after careful thought, we’ve decided to swap it out for the Solo, which we think is the superior model. It’s not to be confused with the much better (and more expensive) Como Audio Solo, which you’ll find at the top of this list. This is a budget model, but a very attractive one - although it’s got nothing on the Sangean WR-11, for functionality at least. Still, it belongs on this list. You only get a very basic feature set – AM/FM radio, a headphone jack, auxiliary input and output. But what you lose in features you gain in aesthetics. The Solo looks bloody amazing, continuing Crosley’s dedication to classic Americana designs. It resembles something from an alternative history 1960s, and we can't get enough of it. We are a little more dubious about the company’s claim of “audiophile sound” – with a basic 3” driver, that simply isn’t going to happen, and it never has whenever we’ve listened to one. But the sound is solid, if unspectacular, and this is a product that just brightens whatever room it’s in. Check it out. What We Like: Classic transistor radio layout. Headphone out. What We Don't: Very limited spec. If you’re over 30, you might remember this kind of device. And, if you aren’t, just watch a classic flick like Jaws or E.T. - you’ll see every person in the background holding a radio just like one of these. The Sony ICF-F10 is obviously a dual band (AM/FM) battery-powered portable radio, and is as simple as they come. That being a limitation also means that you can just chuck it in the back of the truck, picnic basket, or even forget it outside on your porch for few weeks. Chances are, it will survive - for starters, the two D-cell batteries last for ages. Controls are just two rotary knobs, one for volume and one for frequency selection. To improve selectivity and sync hold, you would have to extend the telescopic swivel antenna. Audio quality is basic but quite clear, courtesy of the single 3.75" speaker and this of course means that you’d be listening to broadcasts in glorious monophonic sound. This should not deter you, as the best way to enjoy this device is as an ambiance ‘mood enhancer’. 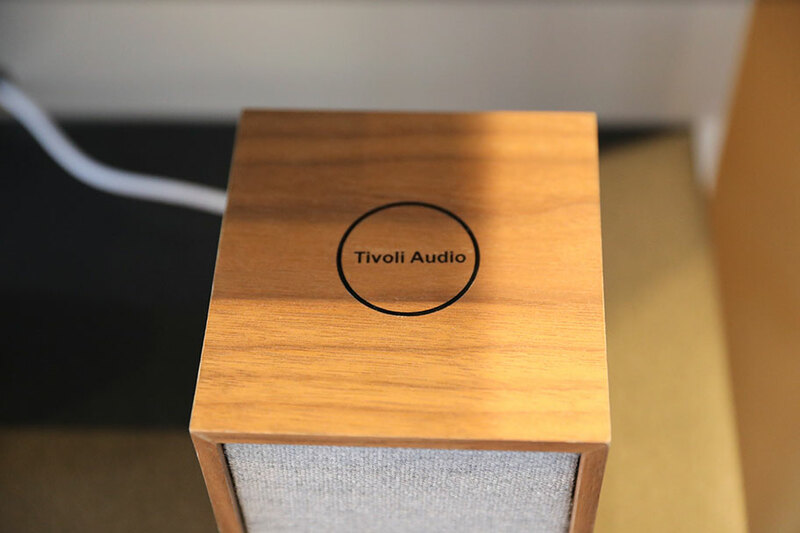 The big release we're excited for, at the time of writing, is the Tivoli Audio Music System Home. 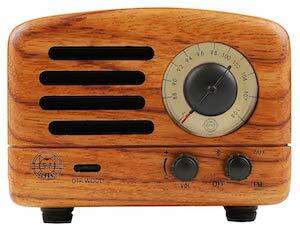 We don't have pricing information on this radio yet, and we have yet to hear it, but it looks absolutely gorgeous. It feels like the culmination of everything Tivoli Audio do well, matching great sound and functionality with superb, high-end design. The Music System may have a somewhat unoriginal name, but it comes with a huge range of features. You not only get traditional AM and FM playback, but also full streaming functionality through Spotify and Tidal. There's even Amazon Alexa functionality, making the Music System a smart speaker. None of this is unexpected - traditional tabletop radios are, sadly, a dying breed, and the line between radios and wireless speakers is blurring more and more. But the Tivoli Audio Music System looks fantastic, and it will definitely still allow you to listen to the radio. Promise. Why are so Many Good Radios Only Available In Europe? As with many examples of audio equipment, the answer to this question comes down to sound quality and feature sets. This year's top sets feature household feature models like the Bose Wave Soundtouch IV, which naturally offer the most advanced features, from liquid crystal displays and equaliser controls, to multiple drivers, high-quality analog circuitry and the latest digital audio mode capabilities. We've broken things down into categories, to make your choices easier. As is the case with most budget audio equipment, cheaper models may sacrifice advanced features like equalizers, digital audio and streaming music services (such as Spotify or Pandora). If you don't need all those fancy additions, no need to pay for them. It's worth noting that it's actually quite rare for manufacturers to release new models; although while some of these units are a few years old, there's a reason we still think they're the best available. At its most simple, a tabletop radio is a small model music station designed to fit unobtrusively on a desk, bookshelf, or bedside table. It is distinct from other radios, which may be part of a larger sound system. It’s also definitely distinct from larger speaker systems, which usually have separate amplifiers, receivers and speakers – and which almost always require a separate sound source, like a smartphone or turntable. A tabletop radio will be a fully self-contained unit, with speakers, receiver and power source all packed into one box. Unlike portable radios, it’s actually quite rare to have a tabletop radio that runs off a battery. They almost always require mains power, so factor that in when you buy. It might be a little surprising to see us doing a breakdown of radios in this day and age. Maybe even a little bit old-fashioned. The fact is, radio is stronger than ever, particularly digital radio, and with the growth of things like podcasts, more and more people are looking to get a self-contained unit specifically designed, or at least predominantly designed, for radio. All these models still sell incredibly well, and plenty of new companies and trying to get in on the market. What was saying is, if you're looking for a radio, you have a huge amount of choice.And of course, these are often way more than simple radios. Several models come with the ability to tune into Internet stations, play music wirelessly and connect with larger systems. What is excellent about them is that they offer good sound quality and good feature sets for a very reasonable price. It's also worth noting that you do occasionally see CD players on these models, although none of our picks above have this feature. It's getting much less common these days, when so much music is listened to on a streaming media rather than a physical one. Kind of a shame, but not a deal breaker for the majority of people. It's also worth mentioning that tabletop radios are occasionally known by different names. We've seen them called bedside radios, and even clock radios, which is a term we thought had died out in the mid-90s. What we’re saying is, these aren't different products; they are one and the same, and you shouldn't let names distract you when you're shopping for one. Don't forget: sometimes just because you want to listen to the radio doesn't mean everybody else does. You might also want to check out a pair of headphones, too. The sound quality question is a good one. It’s quite a subjective one, too, but not one without an answer. Sound quality in any set of speakers, or any amplifier, comes down so many factors: driver size, driver construction, the type of amp circuitry, how it handles power. The environment you put it in. But generally speaking: tabletop radios don’t match separate speakers for sound quality. We know that probably isn’t what you want to hear, and it’s probably being a little bit unfair to some of the radios on our list, particularly at the top end. But it’s also the truth. A dedicated system with discrete speakers and an amp is always going to outdo a single, in-the-box system (at an equal price). Too many compromises have to be made. So generally speaking, you shouldn’t expect audiophile grade sound from your radio. That isn’t always a clear rule – models like the Bose Wave Soundtouch Music System IV very much hold their own against bigger systems – but it’s a good rule of thumb. Should you let that stop you? Of course not. Not everybody needs audiophile grade sound, and the quality of the radios we mentioned is always adequate, frequently good, and occasionally spectacular. If you can, try before you buy to get a feel what kind of radio you should go for, and if you do want something a little bit more hefty, and with better sound, you should check out our lists of the best bookshelf speakers and stereo amps. One of the most frequent questions we get here at TMS is whether a particular radio will pick up a certain local station. It’s one of the most common, but also one of the hardest to answer. Although different radios have different reception strengths, it is, for the most part, much of a muchness. Reception and signal quality is far more likely to be affected by the radio's surroundings, rather than the radio itself. And as for whether your particular radio will be able to the tact a station in your area… That’s entirely down to the station! But as a general primer, radio is split up into two types: the more common FM, and the slowly-dying AM. We’ll go into these in more detail below, but FM signals, which are what most terrestrial stations use these days, have a slightly limited reception range – often no more than the horizon – while AM signals can travel for huge distances, thanks to being able to bounce off the ionosphere. This is a roundabout way of saying that there is no way of us being able to tell whether a radio can pickup your local station. The easiest way to figure that one out is to ask! Obviously this doesn’t apply to stations that stream over Wi-Fi. All those need are a router. Digital radio is a method of transmitting the audio by digital means, as opposed to analog FM or AM signals. It can be transmitted on cable channels, as a podcast, or by satellite. Any streaming station you find online can also be called internet radio. Tabletop radios that offer this require a Wi-Fi connection. Tabletop radios can feature different chipsets, allowing the decoding of several types of digital audio. What that means is that it’s become something of a blanket term, slightly amorphous, generally used to refer to anything that isn’t FM or AM. Above around $200, almost all tabletop radios will feature digital audio, and in general, we think it’s a very pleasing development. 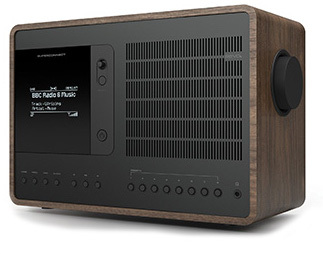 Obviously it’s up to the manufacturers to decide how much emphasis they put on this, but if you take a look at things like the Tivoli Audio Model One Digital, you’ll find that digital radio is very much front and center. This is a little more complicated. In effect, HD Radio broadcasts analog and digital material simultaneously, but the name “HD Radio" stands neither for "High Definition" nor for "Hybrid Digital". It is in fact a trademarked term for an in-band on-channel (IBOC) - a digital radio technology that can be used both by AM and FM radio stations to transmit audio and data simultaneously. By using a digital signal embedded “on-frequency” immediately above and below a station's standard analog signal, the same program can be broadcast in either HD (digitized audio and with less noise, as the FM HD mode uses a high quality codec called MPEG-4 HE-AAC standard), or as a standard broadcast analog radio with standard sound quality). Not only are the two (analog and digital) beamed at the same time, the HD format allows a single radio station to simultaneously broadcast one or more different programs in addition to the program being transmitted on the radio station's analog channel. We are not only talking about audio transmission, when it comes to the above-mentioned additional embedded digital material, as this could be data as well. For instance, HD Radio offers a service called Artist Experience. This allows playbacks to include the transmission of artist and track name, album art, logos and other artwork, which can be displayed on (the optional) radio screen. Perfect example of this: the Insignia HD NS-HDRAD2, an affordable tabletop radio the displays a huge range of information, and offers full HD capability. We rather like it. Don’t be put off if you see DAB offered, without any mention of digital radio. This is because they’re the same thing. In Europe or Asia, digital radio is called DAB, and it refers to Digital Audio Broadcasting. It’s functionally the same as digital radio, with a bunch of preset channels you can switch to without having to tune. Often when speaking of DAB, this is a reference to digital radio’s original or first generation. The typical digital quality, or bitrate to be precise, for DAB programs is somewhat lower than your average Amazon or iTunes download, at around 128 kilobits per second, and as a result, most radio stations on first-generation DAB have a lower sound quality then even what FM has. Not only that: due to this severe quality compression, digital broadcasts may further ‘downgrade’ the original audio’s stereophonic sound to mono, which is far from cool for audio material designed to be listened to in stereo. Such audio quality issues have lead to a DAB update, called DAB+, which uses a different way of digitizing analog audio which uses a higher resolution (with the AAC+ codec). You may also see DRM (also known as Digital Radio Mondiale or DRM 30). It’s similar to AM HD Radio, and is designed primarily for digital shortwave radio programs for compatible radios already available for sale. Just like HD Radio, DRM also allows for the transmission of analog signals combined with digital data (also known as hybrid digital-analog broadcasts) or of course, of pure digital broadcasts. DRM+ (confused yet?) is another digital radio system, but closely based on the DRM30. Instead of operating in HF digital shortwave though, it uses the VHF band. Although reception can be problematic, DRM+ allows for fairly high quality digital broadcasts as it has a high streaming capacity (up to 700 kilobits per second data rate). The REVO SuperConnect is a good example of a radio that offers DRM+, although you will have to pay $400 for it! This is the bedrock of radio. You may not need it…but if the radio you choose offers it, you’ll be very glad to have it. FM refers to an analog method of broadcasting audio on a particular band of the frequency spectrum. What that means, in practice, is that you have to be in the transmission area to hear it, with a receiver tuned to the correct FM signal. Until Digital Radio became a reality, FM was your best bet for a quality radio playback, not only because of the more powerful and clearer signal, but also because its transmission were universally in stereo - something we’ll talk about in more detail below. Plenty of radios on this list offer FM functionality, to go with their regular streaming options. In addition, you should (in theory) be able to listen to any FM station but also broadcasts its audio online. For example, the Como Audio Solo allows you to snag FM stations, along with regular digital functionality. Even if you lose your wireless signal, you’ll still be able to get audio through the FM band. Yes, some radios still carry the option for you to listen to analog AM stations. Are there even AM stations? Do they exist any more? Anyway, it stands for Amplitude Modulation, and is used to refer to signals in the broadcast range of 535-1605 kHz. These stations are usually crackly, sometimes inaudible, and almost exclusively local programming, as any station can afford it will be on the more powerful FM band. One of the best things about radios from the 40s, 50s and 60s, and even up to the 1970s, was the presence of vacuum tubes in their interiors. Whenever you hear someone reminiscing about how good old school radios used to sound, chances are they’re talking about these vacuum tubes. These are literal enclosed glass cylinders, which are still used in a variety of amps today, that burn off electrons, and in doing so, dramatically color the sound. Any piece of audio equipment that runs its audio through a series of vacuum tubes is guaranteed to have sound that is warm, rich, lush and full, with a characteristic squashiness to the low end. Although it’s not to everyone’s taste, especially these days, where a lot of music doesn’t always respond well to it, it’s absolutely fantastic when listening to things like old-school soul. Now for the bad news. To a large extent, vacuum tubes have been phased out of modern radios. They are just too temperamental, too finicky for most people to deal with. Servicing them and swapping them out can be a real pain. As such, it’s very rare to actually find radios that use them. One of the few radios that have it - not featured on this list, as it's tough to find - is the Tesslor R601. Up until very recently, it was arguably the best tube radio in production, but at the time of writing, it no longer appears to be for sale anywhere – even on eBay! That’s a real shame, and we hope that a manufacturer (Como, perhaps?) gives vacuum tubes another go at some point in the future. Another very common question that we get asked: can I pick up my favorite podcasts / public radio / satellite radio on my new purchase? It’s a little bit difficult to answer. Every model is different, and every model will give you access to a wide variety of audio sources. If we were to list every single thing that each radio on our list had access to, it would be a very long and very boring list! To save time, we’ve chosen to simply indicate if a radio has HD and/or Digital functionality. But the good news is that if the radio you’ve chosen does, there’s a very good chance you’ll be able to get your preferred listening material onto it. Take, for example, the Grace Digital Mondo+ Classic ($200). It offers just about any radio service you can think of, including direct access to things like NPR, Sirius XM, the BBC and iHeart Radio – as well as thousands upon thousands of searchable podcasts. The easiest way to find out if the radio you’ve got your eyes on actually connects to your favorite service is to check out its Amazon page. You can do that by clicking on any of the product links in this roundup. Think of this in terms of channels. An audio system that has two channels – a left one, and the right one – is considered to be a stereo system. As almost all music these days comes in stereo format, a stereo system can showcase slight differences between the two channels, meaning that you’ll get a wider spread of instruments, and a more lifelike experience. This is true of stereo radios as well, and several of the models on our list offer this, particularly at the top end. But there are plenty of mono radios available, too. These combine both the left and right channels into a single one – whether for reasons of keeping the price down, or for electronic simplicity, or simply for mimicking the effect of old-school audio. While we at TMS greatly prefer stereo sound, we know there are plenty of people who like mono audio as well. If you’d like an example of a mono radio, check out the SPARC SHD-BT1. You'll notice in our table above that we have a listing for wattage. Let's keep it simple. Wattage is the amount of power the speaker or radio will put out. It's not quite the same thing as loudness, which you can, after all, change by tweaking the volume knob, but it's a rough analogue. If one speaker has 10 watts of output power per channel, and another has 20, and they are both at roughly the same volume level, then the one with 20 will make a louder noise. When we have wattage stats for the radios, they're measured in RMS, which is how much power the radio can put out over a long period - as opposed to peak or dynamic wattage, which is the absolute max it can put out in one short burst before it goes bang! You'll notice that we can't give many wattage figures for the radios on our list. That, sadly, is deliberate - in most cases, manufacturers just don't give them. It's annoying as hell, and happens for many reasons, the most common being that they don't believe they can compete with dedicated, more powerful hifi systems. Our take? Wattage is useful, but not essential to know. Other features will give you a better idea of which radio is for you. The REVO SuperCD is the most powerful that we know of, at 40 watts. This is not a question we have a satisfactory answer to - it's something that's vexed us for quite some time now. Every time we go to update this piece, a good deal of the tabletop radios we want to include - models that have wowed us - turn out to only be available in Europe. These include real gems from the likes of Pure, ViewQuest, The+Radio and Ruark. Their radios have either very limited stateside distribution, or are simply not available here at all. One of the curious things about writing these lists on TMS is that we struggle to justify including models that aren't available for US readers to buy. As good as they are, adding them would simply be an academic exercise! There are a couple of models that we would strongly recommend you check out if you are ever on the other side of the pond. 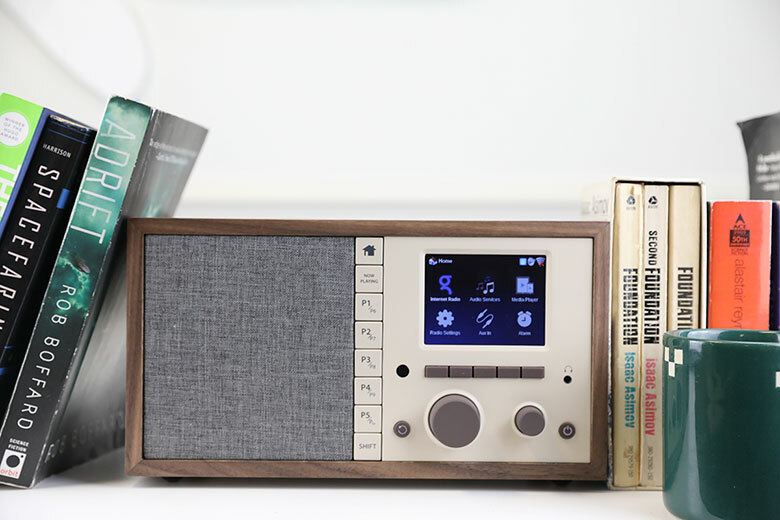 Right now, one of our favourites is the Pure Evoke H2, a gorgeous wood-housed radio with an excellent range of features and absolutely delicious sound. We also have a soft spot for the The+Radio DAB+ Stereo. It may have a completely loopy name, but it has a great design, with twin speakers that look and feel fantastic.